As you have no doubt surmised, there is a lot going on both locally within the Grassroot Grannies’ group, regionally here in Ottawa and of course nationally and internationally with the work of the Stephen Lewis Foundation in Africa. As always, we thank you for your interest in and your financial support of our activities and projects. As we are in the Season of Thanksgiving and heading toward the Season of Joy, let us take a moment to reflect upon our very good luck of living in Canada and appreciate all we have in our wonderful country. The Grassroot Grannies are dedicated to supporting the marvelous grandmothers and grandchildren of sub-Saharan Africa. We wish for them all the benefits we enjoy daily. 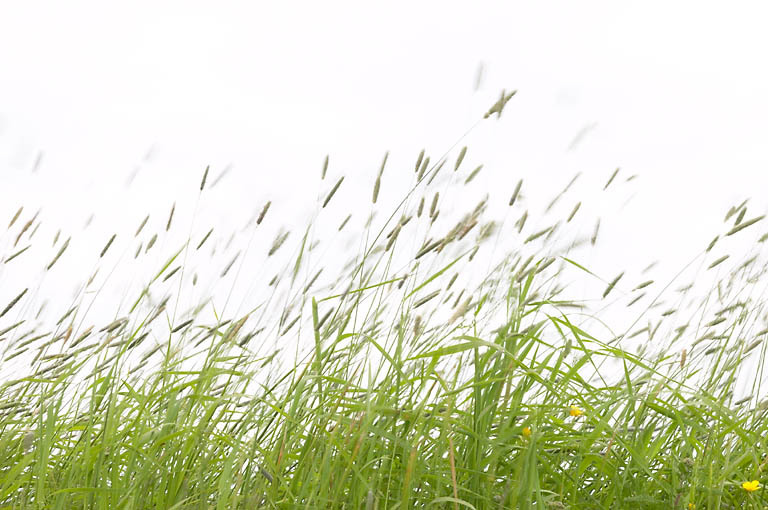 May we be their link to hope for a healthy and safe future. In September The Ride to Turn the Tide, raised over $73,000, an astounding amount! Grannies definitely pedal, sweat and rock and roll! To read more and see some photos of the RIDE click here. 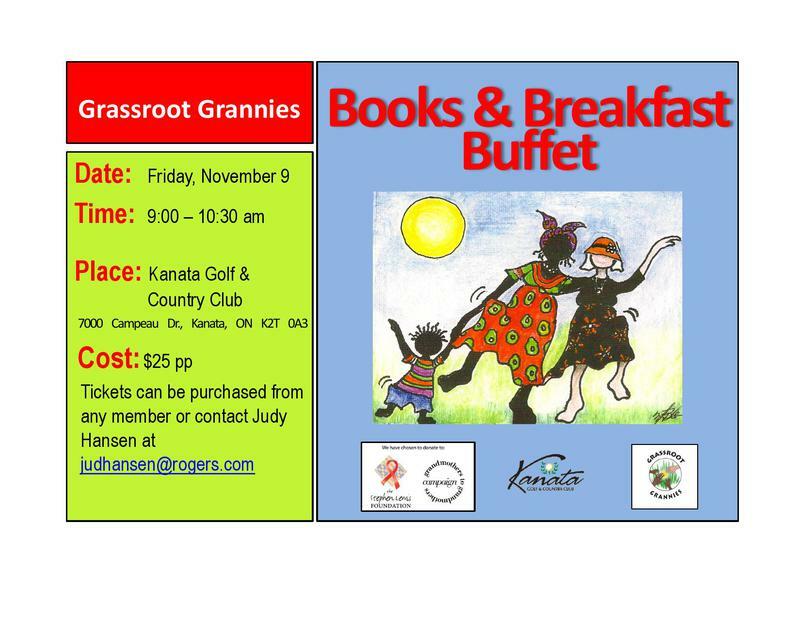 On Friday, November 9th, we will be hosting the very popular Books and Breakfast Buffet at the Kanata Golf and Country Club. In October, we have just had a full day meeting of the O-GRGN with the chairs of the over 20 regional groups coming together to share their ideas, inspire each other and to make plans to continue our successful fundraising projects that directly benefit the Stephen Lewis Foundation (SLF). We were fortunate to have two representatives from the SLF with us to answer our questions and provide updates from grandmothers’ groups Canada, Australia, the US and England. At the end of the session, Ida Mukaka, a SLF field officer in Africa, inspired many with her insight into how the monies we raised in Canada are put to use by women in their communities in sub-Saharan African countries. The current co-chairs of O-GRGN have completed their two-year term and I am happy to tell you that I will be taking over the role of co-chair with a good friend, neighbour and fellow granny from another group. Barb Coyle and I are excited to begin working with all the dedicated leaders of the grandmothers’ groups in our region. 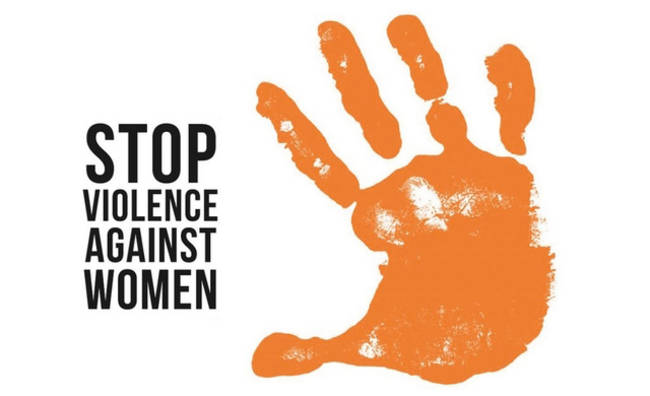 Members of the Grassroot Grannies who are also involved in advocacy with the Grandmothers’ Advocacy Network, are gearing up for the United Nations’ Orange Campaign, 16 Days of Activism to End Gender-Based Violence. On Saturday December 1st, the Ottawa GRANs are joining forces with several other Ottawa groups, to hold a Candlelit March on Elgin Street, followed by an event at City Hall at 5 pm. The event will include a proclamation by Mayor Watson, and speeches by an Algonquin Elder and by the Executive Director of the Immigrant Women’s Services Ottawa. 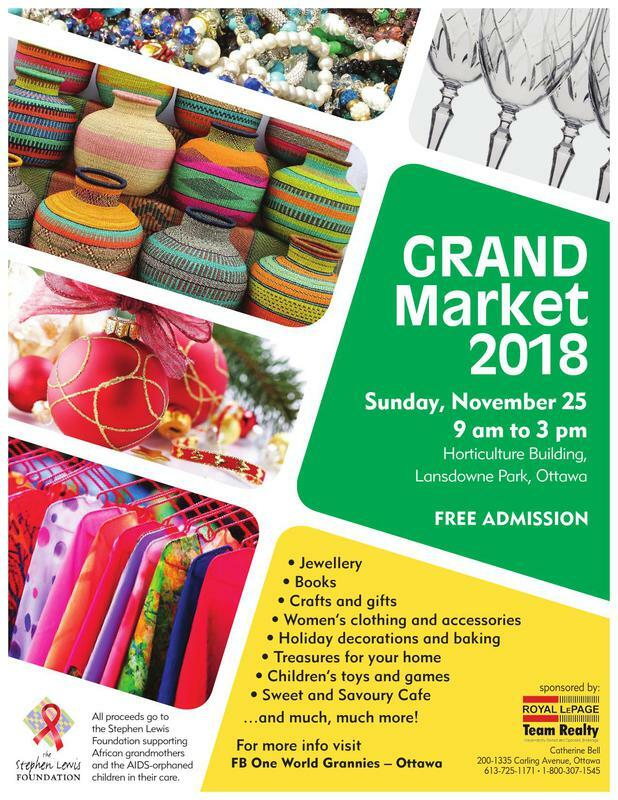 The Grassroot Grannies are busy making gift items and stocking stuffers for our stall at the 4th annual Grand Market to be held on Sunday, November 25th in the Horticulture Building at Landsdowne Park. So, if you are in the Ottawa region, come on down and check it out from 9 am until 3 pm. The SLF has learned an enormous amount from working with 300+ partners, supporting over 1,600 initiatives. Early on they realized that identifying the right partners was impossible without visiting them first. Some proposals that they received were bureaucratically perfect, while others may simply have been a couple of hand- written pages, but with very compelling content about the needs of the community. Visiting groups with less polished proposals often revealed an outstanding organization that was the heartbeat of its community, working with child-headed households where no one else was present, or reaching an entire community of grandmothers raising countless orphaned grandchildren. So they didn't rely solely on what’s on paper. They have developed a healthy set of criteria that assist them in identifying organizations that are rooted in and accountable to their community. For instance, they looked for organizations that have women and people living with HIV&AIDS on their boards and on their staff, and that have a gender-based focus to their programming. They have also learned from their partners that counselling and emotional support to deal with trauma in the family, the community, and amongst those who do the work was an essential ingredient to the success of every project. Ultimately, though, it’s about more than a check-list of criteria. It’s the demonstration of community care, conviction, expertise and accountability that’s so compelling. These grassroots organizations are filled with people (often women living with HIV themselves) who took the initiative to do something because they just couldn’t stand by while AIDS ripped through their communities.